The first Chinese “blue book” on the state of India has expressed concern over a government in ‘serious crisis’, but also believes India will emerge stronger after conquering its current obstacles. Chinese think tanks release “blue books” every year on numerous issues; the books have tacit backing by the Chinese government, even if they do not fully represent its views. The “blue book” on India runs to over 300 pages and was compiled by Yunnan University, which hosts one of China’s biggest South Asia programmes. As the US refocuses its attention to the Asia Pacific region, it is also seeking to augment its presence in the unstable and heavily contested Indian Ocean Region. Admiral Samuel J. Locklear, who commands the US Pacific Command, or PACOM, talked to Sergei DeSilva-Ranasinghe on the programme he is spearheading to reposition the US military footing towards the Indian Ocean and the revitalised strategy to engage South Asia and Australia. How is the Indian Ocean of relevance to the US Asia Pacific rebalance? Admiral Locklear: Whether the name is Indo-Pacific or something else, when I am sitting in my office looking at a pretty detailed chart of my entire jurisdiction, I view it as a continuum of security requirements, not broken down by historical perspectives of the different oceans. I think ‘one continuum’ is a good concept. However, it’s not just about the Indian Ocean. It’s about the connectivity of these large economies, the large core populations, and how things have to move. 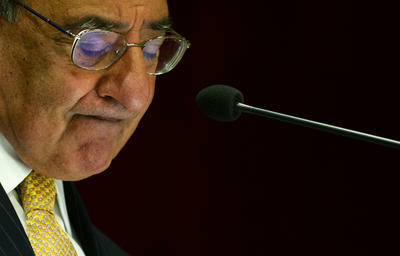 US Secretary of Defense Leon Panetta’s visit to India in June highlighted both India’s increasing importance as a regional balance in the US ‘pivot’ to the Asia Pacific and the extent to which the US–Pakistan relationship has deteriorated in recent months. The US and India held their third annual strategic dialogue in Washington on 13 June 2012. At the second dialogue in June 2011, US Secretary of State Hillary Clinton pressed India to assume a more proactive leadership role in the Asia Pacific region, exhorting it to ‘not just look east, but continue to engage and act east as well’. US Secretary of Defense Leon Panetta enthusiastically restated the same message during his recent post-Shangri-La Dialogue swing through New Delhi. In an example of Australia’s increasing awareness of the importance of the central and north-west of this country, the ADF has announced a force structure review with a focus on onshore mining and offshore oil and gas infrastructure and operations. It includes a shift in defence strategy towards the Indian Ocean’s vital sea-lines of communication and choke points close to Australia. An article in The Australian, published on 31 March 2010, notes Australia’s inconsistent interest in the Indian Ocean Region (IOR) in its headline ‘We must look west to the Indian Ocean …’. It goes on to remind that Australia should be a ‘pre-eminent country’ in the IOR and notes that a ‘new maritime great game’ is visible as ‘strategic competition between India and China’ grows. These ideas, verging on directives, are drawn from Bateman’s and Bergin’s Australian Strategic Policy Institute Paper, Our Western Front: Australia and the Indian Ocean, launched by Australia’s former Foreign Minister, Stephen Smith, on the same day in 2010. The Australian concluded its article by reporting that Australia’s policies vis-a-vis the Indian Ocean have been ‘relatively opaque and spasmodic’, and should be embedded in the mainstream of foreign policy. Despite its inconsistent and often neglectful approach to engagement in the Indian Ocean as a whole, Australia has had an historical interest in the Indian Ocean, which is vital to its import and export markets and sea-lines communications. It relies on Indian Ocean sea-routes and access points for its globalised trade, and the ever-increasing importance of security and stability demand deeper engagement: geographically Australia is well-placed to play a prominent role in the Indian Ocean region.